This is Braveheart. Her owner was arrested on felony animal cruelty charges in August 2014. At the time, Braveheart was covered in bite marks, her muzzle was swollen and her ear had been ripped in half. She was impounded as evidence in the criminal case against her owner. Not long ago, a Chicago-area dog like Braveheart would have been warehoused until the owner's case was decided or the owner gave up the dog. But even then, the animal's future wouldn't have been bright. "The dogs were in legal limbo, and then routinely euthanized following the disposition of their owners’ cases," says Cynthia Bathurst, founder of the Safe Humane Chicago group, which works to make life better for dogs in the legal system. Since 2010, Safe Humane's Court Case Dogs program has been seeking more favorable outcomes for dogs who have had the misfortune to be pulled into the legal process. January marks the fifth anniversary of this program. 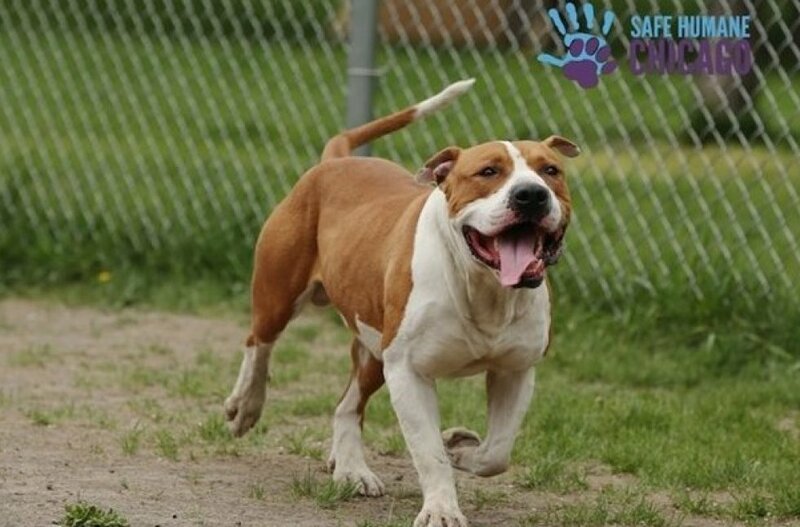 Bathurst and Safe Humane Chicago board member Keri Burchfield -- a sociology professor who studies animal crime -- recently spoke with The Huffington Post by email about what has changed for dogs like Braveheart in the last five years, and how these changes benefit not just the dogs, but also the people around them. What is the Court Case Dogs program? Cynthia Bathurst: A partnership with Chicago Animal Care and Control (CACC) and other government and nonprofit organizations, it seeks to change perceptions of “evidence animals,” to ensure humane, compassionate outcomes for these animals and to educate the public about the significant role of the human-animal bond. 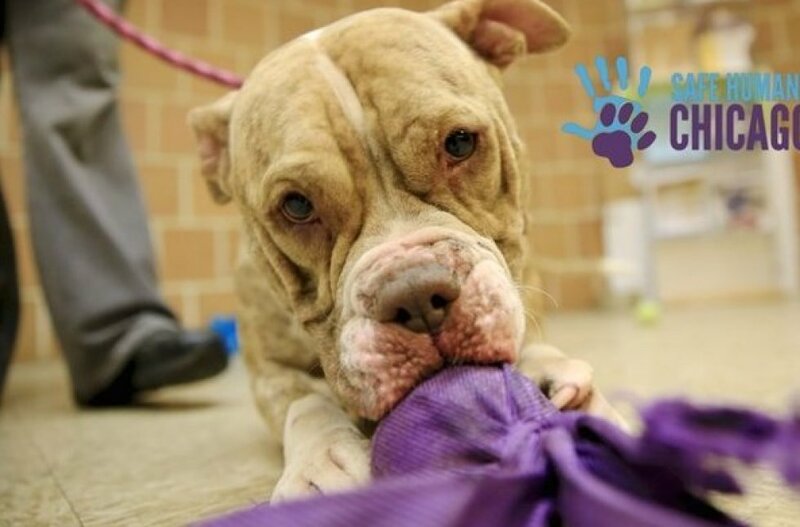 The program partners with the City of Chicago and Safe Humane volunteers and other program participants to house, vet, socialize, exercise and train dogs who have been seized from neglectful or criminally charged owners. The program also transfers them to rescue groups, adopts them into loving homes, supports their staying in loving homes and facilitates their “giving back” to the community as ambassadors and loving companions. Bandit came to be available for adoption through the Court Case Dogs program when a woman came home in July and found the dog and a strange man in her apartment. The man fled, leaving Bandit behind. Why is this program important? What was happening to dogs in these situations before this program got started? CB: Court Case Dogs was a first step toward justice for these animals. Before the program was established, “evidence dogs” routinely sat in cages at CACC while their owners' court cases dragged on. When the program started in 2010, about 2 percent of “evidence” dogs made it out alive, and they stayed in their cages until their deaths for about a year on average. In 2014 the program saves more than 70 percent of them, and they stay at CACC for an average of two to four weeks with socialization, training and love. Keri Burchfield: The Court Case Dogs program is important to the dogs because it gives them much-needed opportunities for socialization, training and affection, and to the volunteers for the impact they have on the dogs’ lives. It is important to potential foster and adoptive homes because these dogs come with a lifetime of training and behavioral support from Safe Humane. It is also important to Chicago, as it showcases these dogs as models of resilience, and the volunteers for their ethic and compassion. And it is important to society for shedding light on the problem of animal abuse and ways to improve our criminal justice system’s response to it. 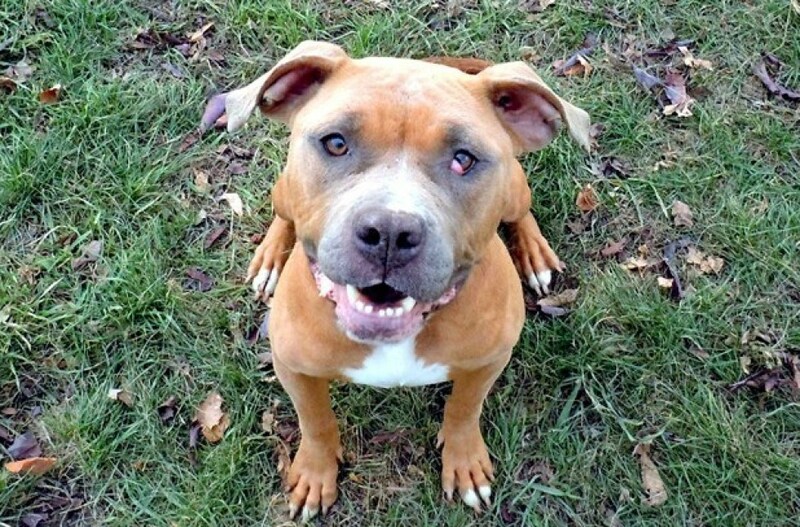 Honey is available for adoption, after her previous owner was arrested for drowning puppies. How many dogs have you helped through this program? What sorts of circumstances did these dogs live in before they were brought in? CB: Since its inception, the Court Case Dogs program has welcomed more than 600 dogs, and more than 500 have been adopted into loving homes. 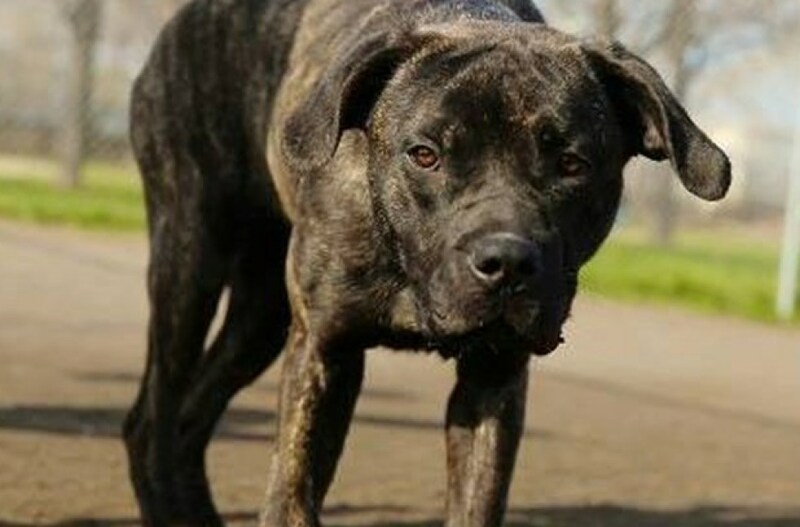 These dogs come from a variety of circumstances, most commonly from abuse and neglect, some from fighting or related criminal enterprises, some from hoarding situations. Some of these dogs have endured especially unjust treatment. All are now humanely and lovingly cared for and act as representatives of the kind of compassion our communities need to be safer. As the program and its reputation grow, individuals and organizations beyond the Court Case Dogs are reaping benefits. Incarcerated young men are taught how to socialize these dogs in a three-month program at the Illinois Youth Center Chicago. Police officers, attorneys, judges and court advocates are learning better ways to investigate, prosecute, adjudicate and track criminal cases involving dogs so that the cases resolve quicker and the dispositions are restorative. And the dogs no longer languish at the shelter. Even Chicago-area military veterans suffering various effects of PTSD are given a chance to heal and be healed by connecting with these dogs. Scarlett's prior owner was charged with cruelty. She's now available for adoption. What have been the biggest lessons learned over the last five years? CB: Perhaps the biggest lesson is that evidence-based knowledge matters and will overcome the biggest obstacles over time –- whether we care about the individual dogs or families or the way we address public safety and welfare. Just as big is the lesson that all dogs, like all people, are individuals and must be treated as such, whatever they look like or their background. We’ve learned about the amazing resilience of dogs and their loyalty to human beings, and the benefits and joys that our bond with them brings. Do you think other jurisdictions could adopt similar programs? CB: It should be a priority for any jurisdictions interested in safe and humane communities. Such programs ensure that all creatures who are victims under the law are protected. It only takes a few people in key places in law enforcement, animal control, the court system, the rescue community and the community at large to educate others about the laws and the principles and procedures that make for better communities. How do dogs get selected for the program? CB: Court Case Dogs are selected through assessments that ensure that the dogs can be safe and safely managed around people and other dogs. This process includes veterinary assessments and any veterinary care needed, and behavioral assessments of the dog on and off the leash and in playgroups with one or more other dogs. They may also be assessed with children and other youth during their participation in one of our programs. Once selected for the program, they have access to free behavioral consultation and training for life. Tex is all love. Here's his adoption listing. CB: Finding rescue groups to transfer our dogs is a challenge, not just because of the large number of dogs at CACC but also because of the way dogs who have been abused may be viewed. KB: Also needed are effective community welfare laws that address the significant connection of people and animals and focus on restorative justice; education and training for all stakeholders in our efforts to make all communities safe and humane; effective practices and collaborations applied to local problems; and better resources and more collaboration to effect those goals. Court Case Dogs are the forgotten victims in our criminal justice system. They have done the time, but not the crime. Even though high-profile animal abuse cases like Michael Vick's have generated public interest in what becomes of animal victims, most people do not know how long these animals sit and wait and suffer, or that so many go on to live amazing and fulfilling lives as therapy dogs, loving family pets or advocates against breed-discrimination. Sweet Sedona is looking for a new home. Here's her adoption listing. Would you like to see this program expand? Are there any barriers to expansion? KB: The Court Case Dogs program needs to expand to other communities as well as within Chicago, not just to help more animals trapped in our legal system, but also to help people understand the significance of preserving the human-animal bond. The greatest barrier is lack of resources -– mainly money -– or lack of access to appropriate and adequate training. We need more volunteers, too. But that’s not all. Although there is a well-established connection between violence against animals and violence against people, many law enforcement and criminal justice agencies feel that they are too over-burdened and under-resourced to tackle cases whose victims are "only animals." So organizations like Safe Humane have mobilized at the grass-roots level, with a core of dedicated volunteers, to keep these programs running. CB: Reliance on stereotypes and lack of knowledge are also barriers that will take time and unrelenting education to overcome. Better animal welfare laws, integrated with community welfare laws -– and enforcement -– are also needed. All of this, of course, will happen in time and with commitment. Safe Humane depends on alliances with like-minded organizations to provide education, advocacy and successful second chances. Smitten's owner was charged with animal cruelty. She's now available for adoption. How can people get involved or help out? 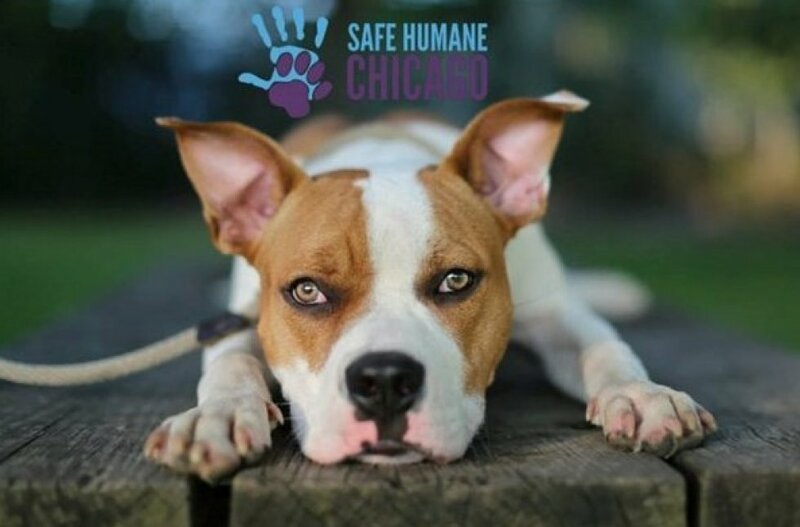 CB: Visit the Safe Humane Chicago website or email getconnected@safehumane.org. You can volunteer with the Court Case Dogs program (or one of the other Safe Humane programs), donate, advocate, transfer a Court Case Dog, foster a Court Case Dog for a rescue or adopt a Court Case Dog. 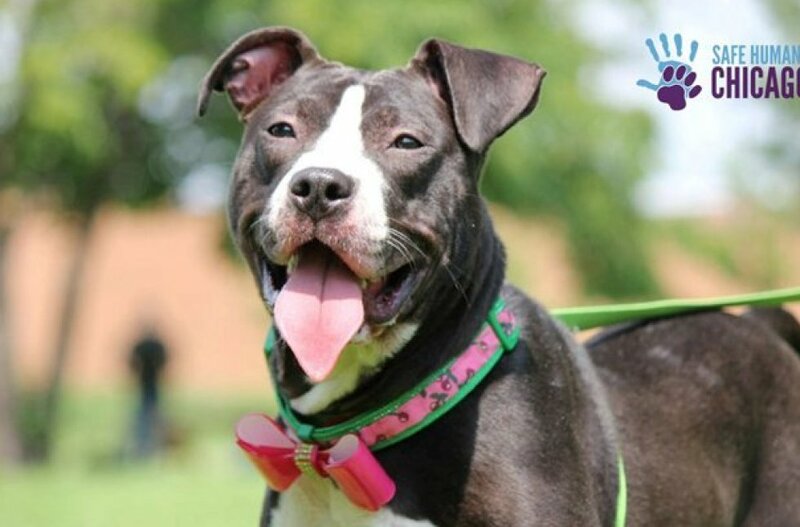 You can also help us kick off our end-of-year campaign to raise needed funds for Safe Humane Chicago to provide education, advocacy and second chances for at-risk dogs and their people. A generous donor has agreed to match the first $5,000. 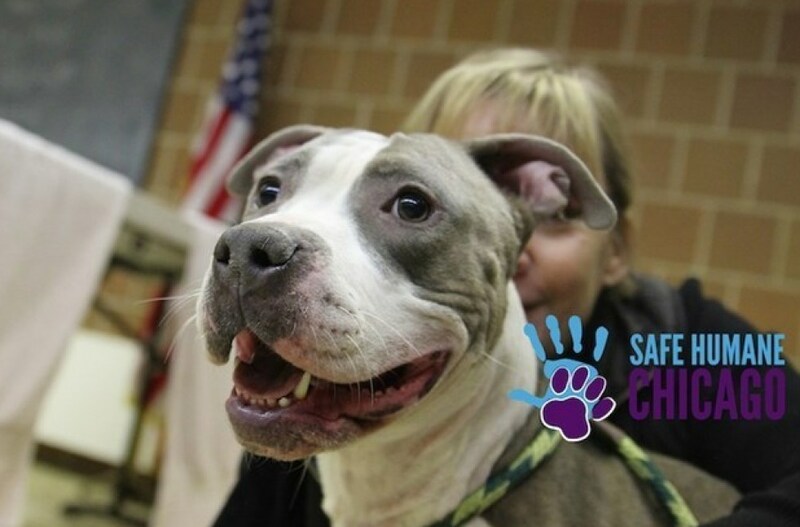 Just go to safehumanechicago.org/donate and note that your donation is for the end-of-year matching appeal. Willow and her puppies were rescued out of "deplorable conditions" after police heard them crying out and found them starving and living in filth. Willow is now available for adoption. These Shelter Dogs Need Homes! Justice is a 3-year-old boy who is super affectionate and loves playing fetch. Find out more about this goodhearted goofball <a href="http://www.parl.org/adopt/adoptable-dogs" target="_blank">on his adoption page</a>.